Scott Hutchison's tragic suicide comes after a lifetime of helping others wrestle with their own demons. And then, about 20 minutes later, he tweeted, “I’m away now. Thanks.” Those would be the closest thing we’ll have to his last words. Hutchison’s body was found by police in Port Edgar near South Queensberry. It’s a tragic end for a songwriter who had spent his career deftly airing his own battles with depression and anxiety. He has referenced suicidal thoughts in a number of lyrics—most notably in the lovely, haunting “Floating in the Forth,” where he sang ‘Take your life, give it a shake / Gather up all your loose change / Think I’ll save suicide for another day.” In the context of the song, it felt triumphant—like transcending over the temptation to self-harm. Now, it just feels sadly prescient. 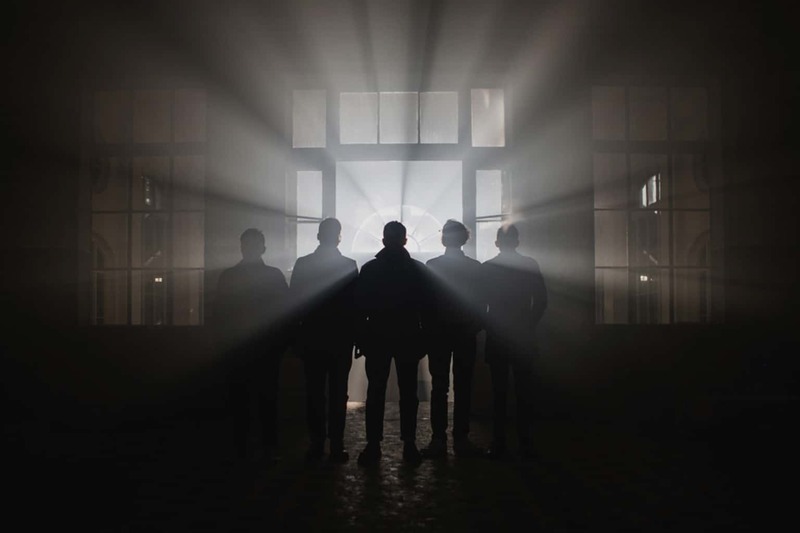 I was introduced to Frightened Rabbit the way I found most bands in my 20s: a relationship. A girl I was seeing dropped “Modern Leper” and “Good Arms vs Bad Arms” on a mix, and I was hooked. Hutchison wasn’t in a healthy place, and he wasn’t pretending that he was. I could not say the same for myself at the time. 2008 marked my first real brush with depression, though this wasn’t clear to me until much later. At the time, all I knew was that I was stressed, emotionally distant and since none of the things that usually made me happy seemed to help. I was turning to other, less healthy coping mechanisms. I blamed everything: my job, my financial state, girls (again, mostly girls) for what I was feeling. Or, more accurately, wasn’t feeling. I had in my mind this idea that depression was a feeling of constant sadness—spending every waking moment like the person in an infomercial before they buy the thing that makes it all better. Perhaps that’s what it’s like for some people but my own depression tends towards a yawning absence of feeling. I wake up, I go outside, the sun is shining, my dog is nuzzling my knee, the coffee pot is burbling happily and try as I might, I don’t feel a thing about any of it. The red meat of my insides feel like stone, unmoving and unresponsive. The whole of the world just looks and feels gray. As Hutchison sings in “Poke”: “Why can’t I cry about this?” You don’t feel like you’re wrestling with inner demons. You don’t feel like there’s much of anything going on inside of you at all. Depression is isolation and isolation is loneliness. Friends, the perceptive ones, notice something’s amiss. You get the little “hey, you doing OK?”s and “let me know if you need anything”s. And you try to be appreciative but, again, there’s a hollowness where feelings of warmth and gratitude should be. Worse are those who try to give advice. If one more person had told me to just pray about it, I would have taken to praying through the imprecatory Psalms. You just want to be alone, even as the loneliness feeds your own emptiness. It is horrible. It truly is. It is no wonder, then, that we turn to sad music and the sad musicians who write it. The language of depression is elusive, with a vocabulary that never seems to quite work. When you’re depressed and someone’s asking how you feel, you say “fine” because so few other words seem to work and the struggle of finding a more accurate one is exhausting. It’s for that reason that I thank God for Hutchison, who struggled to find better words for all of his 36 years. “I salute at the threshold of the North Sea of my mind / And I nod to the boredom that drove me here to face the tide” Hutchison sang on “Swim Until You Can’t See Land,” and as I walked along the edge of Lake Michigan in Chicago, the words felt like one of the few things that made sense. And few songwriters have Hutchison’s knack for knowing when words just won’t do, and the only way to capture what you’re not feeling is a delicate, mournful “Ooooh.” I felt those in my bones. Depression comes and goes for me in waves. I’ve never been able to divine any sort of seasonal rhythm or specific trigger to it. Sometimes it sets in too subtly to even notice and almost inevitably leaves the same way. That’s another thing I thank God for—that it’s not, in my case, a constant, even if the threat of it is. And it’s set again recently, this depression. There’s an emptiness where the emotions should be, a lack of interest in favorite hobbies, an extra measure of dread about facing any full day. I flatter myself to think I’m better equipped to handle it now than I was in 2008. The truth is, I think, I have people in my life who are better equipped to handle me. But there was a time when all I had was Frightened Rabbit. I was listening to The Midnight Organ Flight after news of Hutchison’s disappearance hit, driving around at night. And suddenly, out of nowhere, the mournful wail of “Head Rolls Off” stung my eyes with tears, and where there hadn’t been any emotion at all there was a flash of real, bloody feeling. It wasn’t a positive feeling, but any feeling at all is a human one and feeling human is a huge relief when you’re depressed. And in that moment, I thought about Scott Hutchison and the overwhelming sadness that he’d helped me through by going through it himself until, evidently, he couldn’t go through it any longer. Speaking as one of those tiny changes myself, I’m glad he did.